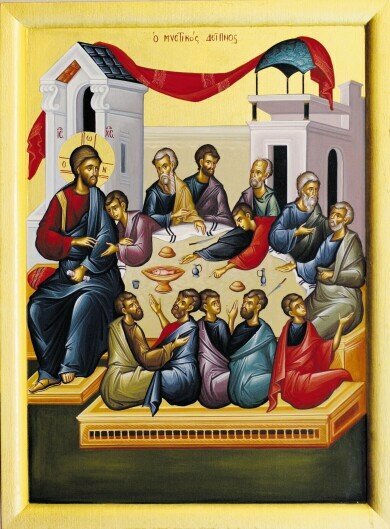 Philoptochos ~ The "Friends of the Poor" is the philanthropic arm of parish volunteers. Senior Fellowship ~ This group sponsors gatherings and activities for those in their golden years, 55 and above. Adult Fellowship ~ For those between the youth and the senior groups, this group meets for fellowship and to focus on marriage, family and spiritual growth. Young Adult League (YAL) ~ A group of Orthodox Young Adults from the greater Cleveland area. Choir ~ These volunteers lead the congregation in the musical responses to the Divine Liturgy. GOYA ~ For our 7th through 12th grade parishioners, they participate in religious, social and athletic events. HOPE/JOY ~ For children in Pre-school up to 6th grade. We participate in many fun, spiritual events. Bible Study ~ This study group meets every Thursday evening from 7:30 - 9:00 p.m. September through June, exporing scriptures in both the Old and New Testament. See Greek School Photo Albums. Greek School ~ Our Greek School classes are every Monday, from 5:30 to 7:30. Levels include Kindergarten through Level 5, as well as classes for adults. Women's Study Group ~ This study group will meet on Tuesdays from 10:00-11:30 a.m. September thorugh May. All women in the parish are welcome. Sunday School~ This vital ministry in our parish teaches the Orthodox faith to our children. Classes begin immediately after the reception of Holy Communion in the 1st floor classrooms September through May. Orthodox Cathechism ~ This six week class offered in the Fall and Spring is open to Orthodox Christians, for anyone seeking to know about this ancient faith, for anyone planning to get married in our church and for anyone wanting to be Chrismated Orthodox. Vacation Church School ~ For our children ages 4 years old through 6th grade, this week-long program provides the opportunity to learn in a fun environment with meaningful lessons about our faith.